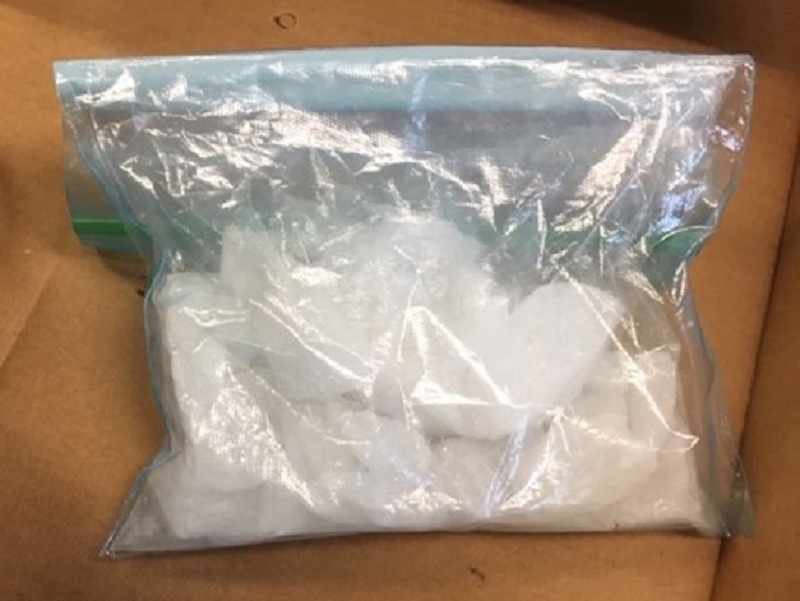 HOUTZDALE – Additional charges are being filed against several people for their involvement with a drug ring that was bringing a million dollars worth of crystal methamphetamine and cocaine into the area. Sondra L. McQuillen, 53, Houtzdale was accused of bringing drugs from Akron, Ohio, on a regular basis. According to grand jury testimony McQuillen and her fiancé, Donald Mullens, were bringing up to one pound of meth twice a week to Clearfield County from a contact in Akron, Ohio. Mullens was allegedly spending $10,000 for one pound of methamphetamine once or twice a week in April. After Mullens died from a drug overdose on May 22, McQuillen continued traveling to Ohio where she allegedly obtained at least four ounces of the drug each time. Beginning in September of 2017, investigators arranged several controlled purchases of meth from a Clearfield couple, Jason Lynn, 37, and Joyce Lee Merritts, 32, who sold it from their apartment in Lawrence Township, according to the grand jury testimony. It was established that McQuillen was providing them with drugs after Mullens’ death and further investigation identified her source as James Thomas, 49, of Akron, Ohio. Mullens and or McQuillen reportedly traveled to Ohio on approximately 26 occasions in 2018. On July 26, law enforcement officers followed McQuillen and another individual to Akron where she met with Thomas. She purchased meth and other drugs for $3,800, according to the report. She was followed back to Clearfield County where investigators executed a search warrant on her vehicle. Officers reportedly found one-third of a pound of methamphetamine, crack cocaine, marijuana and pills suspected to be prescription medications in the vehicle. From her home, police allegedly seized $10,000, drug paraphernalia and multiple phones. A search warrant executed at Thomas’ residence the same day uncovered four ounces of meth, almost 200 grams of cocaine/crack and marijuana. In the barber shop where he worked, police found two pounds of meth, over four ounces of cocaine and almost three pounds of marijuana. The grand jury learned that Thomas admitted he met with McQuillen on the day she was stopped by police, through prison telephone calls. He further admitted that he should have stopped “doing things” with McQuillen after Mullens died. “Mullens’ brother had advised him not to trust McQuillen. Thomas was heard saying ‘I didn’t listen. I didn’t listen. I didn’t listen,’” according to the grand jury information. On Sept. 7, an arrest warrant was served on McQuillen at her home in Houtzdale. Agents were invited into the home by Kenneth Quade, who was staying at the residence. Quade possessed one eight-ball of meth, a smoking pipe, a digital scale and several razor blades, police said. McQuillen reportedly told them there was more methamphetamine in the house. 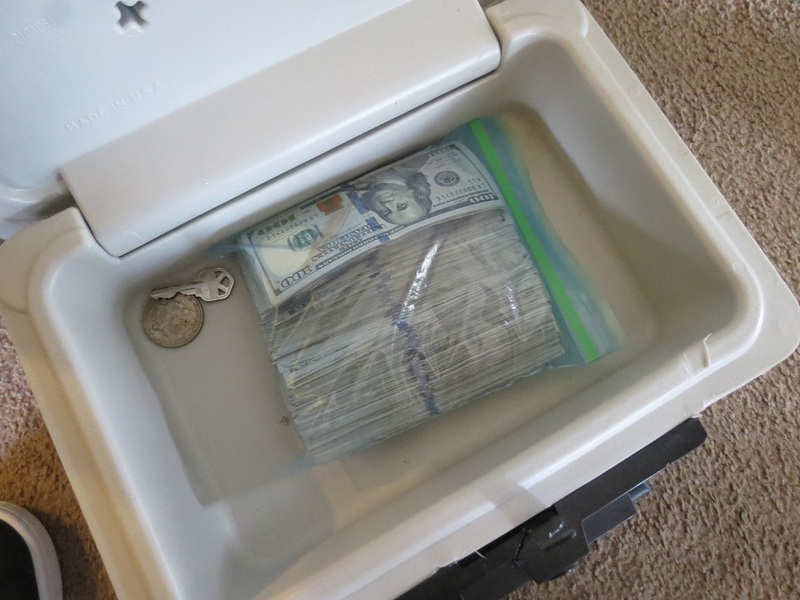 After they obtained a search warrant, the agents found 12 ounces of meth, a quantity of marijuana, a notebook describing previous deals and over $500, according to the report. In an interview with investigators, Quade admitted to selling meth and said his source was McQuillen. He also admitted to traveling to Ohio with McQuillen and others to get more meth. Charges of manufacture/delivery/possession with intent to manufacture or deliver a controlled substance and conspiracy-manufacture/delivery/possession with intent to deliver a controlled substance were filed against Quade with District Judge James Glass’s office on Tuesday, according to court documents. Thomas was also charged Tuesday with corrupt organizations, conspiracy/corrupt organizations, 12 counts of manufacture/delivery/possession with intent to manufacture or deliver a controlled substance, conspiracy-manufacture/delivery/possession with intent to manufacture or deliver a controlled substance, criminal use of communication facility, dealing in proceeds of unlawful acts and knowledge that property is proceeds of illegal act. Both local cases are listed as inactive in the online court portal. McQuillen was originally charged in September with 10 counts of manufacture/delivery/possession with intent to deliver a controlled substance, conspiracy, criminal use of a communication facility, dealing in proceeds of unlawful activities, knowledge that property is proceeds of illegal acts, and corrupt organizations. Joyce and Jason Merritts were also charged in September with five counts of manufacture/deliver/possession with intent to deliver a controlled substance, conspiracy, criminal use of communication facility, dealing in proceeds of unlawful activities, knowledge that property is proceeds of illegal act, corrupt organization-employee and endangering the welfare of children. The Merritts have each signed a plea agreement and are scheduled to be sentenced later this month. As of the end of the work day Tuesday, no additional charges have been filed against McQuillen. McQuillen, Jason and Joyce Merritts remain in the county jail in lieu of $100,000 each.